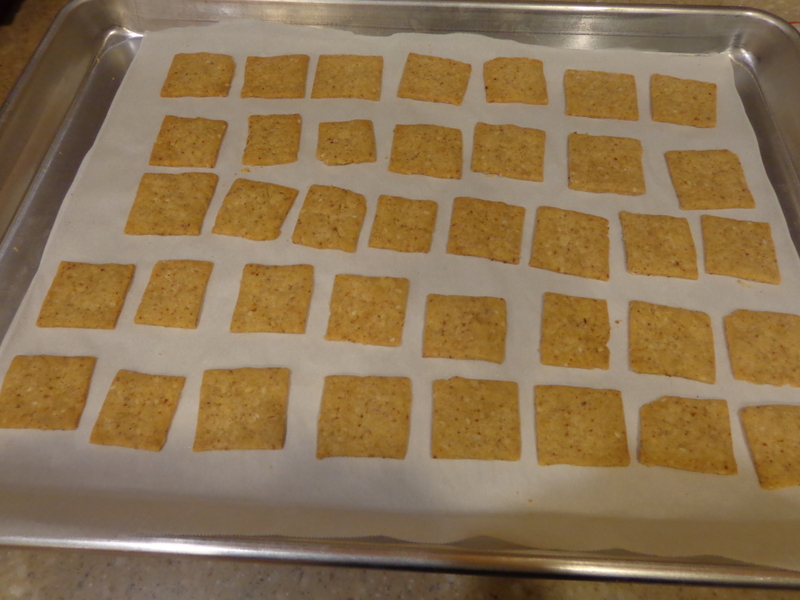 Making gluten free crackers does not lend itself to using only whole grains, since keeping the flours together in the cracker requires starch. 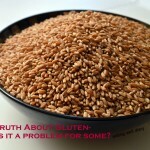 I have been working on getting the starch (tapioca and white rice flour) to a minimum. 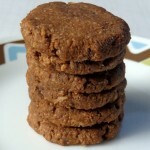 Almond flour adds a nutty flavor and addition of xanthan gum helps with the binding too. Here is a recipe that worked out well and tastes great too. Preparation time: 15 minutes to mix and 12 minutes to bake. Makes 40-50 crackers. tapioca starch- 1/2 cup + 3 tbsp. chili powder- 1 and 1/2 tsp. * Mix flours, spices and butter and oil together in a bowl. * Add water slowly to form a knead-able dough. * Roll out between two sheets of wax paper to a thickness of 1/8 inch or thinner. * Cut out squares with a pizza knife, poke holes. 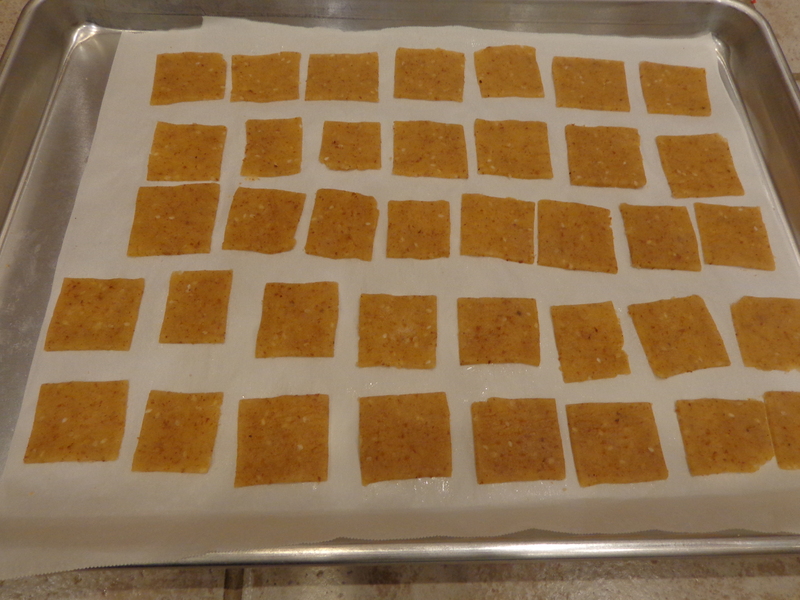 Carefully remove the squares and place on a baking sheet lined with parchment paper. * Bake in an oven pre-heated to 350 F, for 12 minutes. 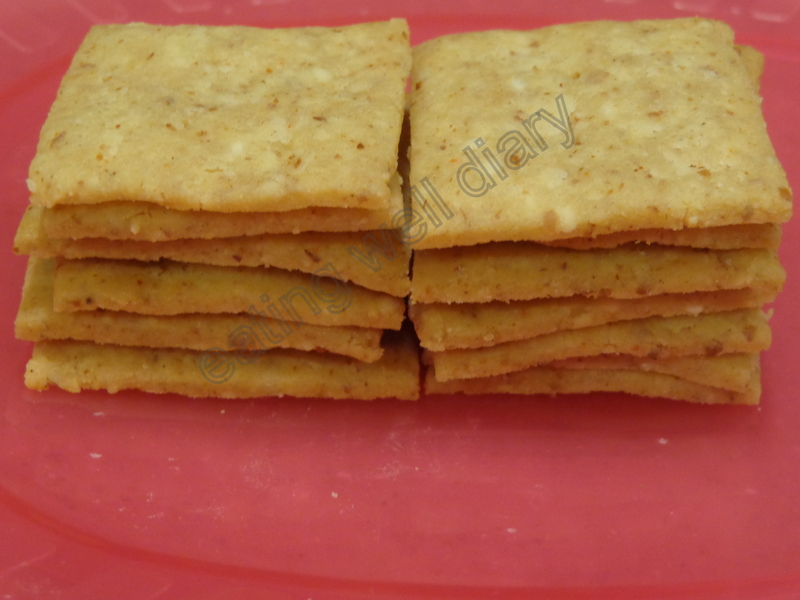 The crackers have a nice crumbly taste and just melt in your mouth. 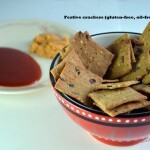 A great snack for hungry kids and others too!